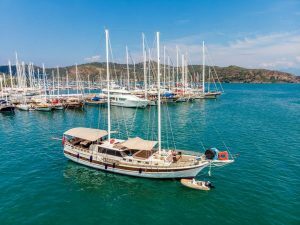 Marmaris, one of the most visited heaven-like places in Turkey is in the district of Mugla, the meeting point of the Aegean and Mediterranean seas. 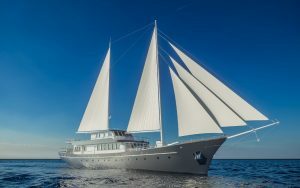 A Blue Cruise Makes Your Dreams Come True! 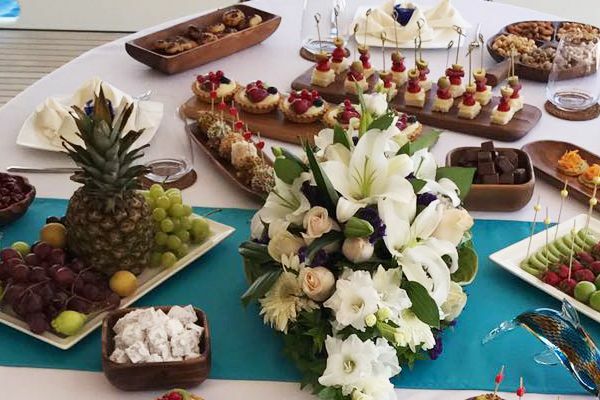 A blue cruise planned around one’s preferences and budget is everyone’s dreams. 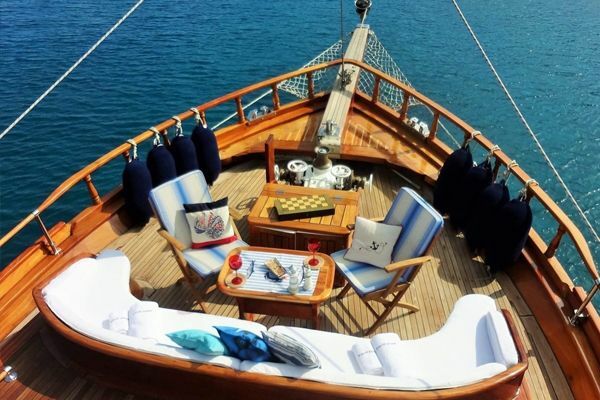 You can live precious moments with your loved ones on the unique dance of wind and sea on routes chosen to your heart’s content. 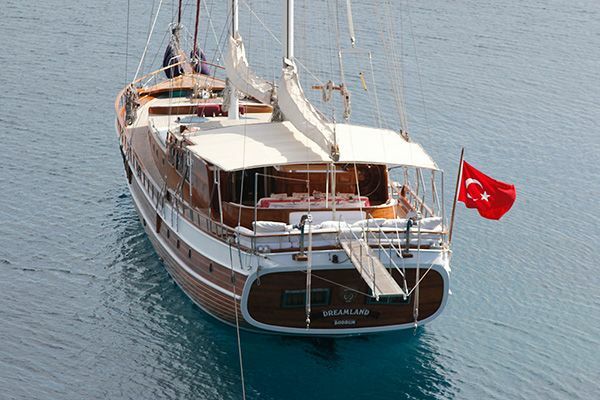 You can plan various exciting activities to do on your journey, when you wake up in a quiet morning at sea. 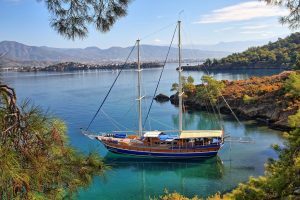 A gulet yacht cruise — unique to the Mediterranean — is a holiday that should be experienced at least once in a lifetime…only to find yourself compelled to go back for more! 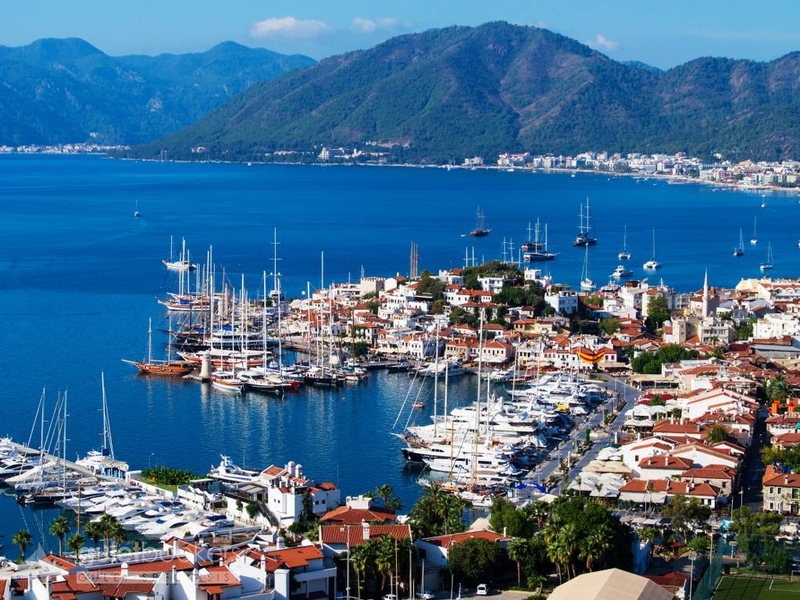 Marmaris, with its different blue cruise routes, offers a unique opportunity for those who want to swim in clear waters. 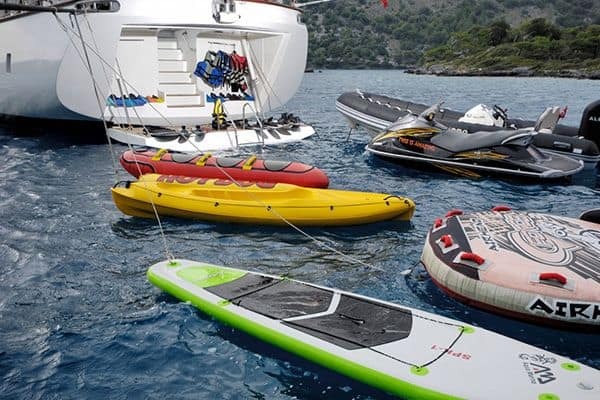 Marmaris and its surroundings, is an ideal spot for holidaymakers interested in water sports thanks to its countless coves and islands and its magical atmosphere colored by the fragrance of thyme and pine coming from the adjacent mountains. This is also one of the regions where tropical fruits are most grown. 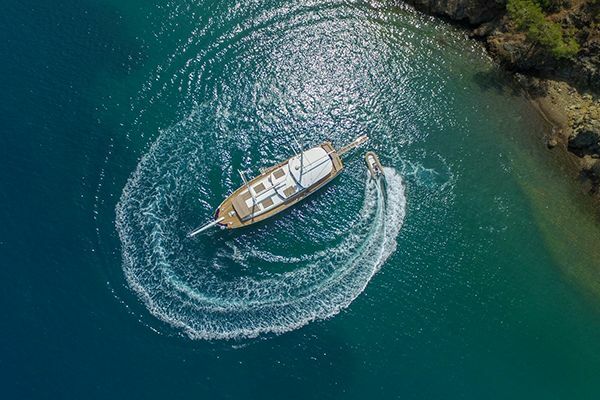 Here, those who want to swim in the cool waters of the Aegean, tapping into the blue of the sea and the green of the forests, and discover the historical and natural beauties of the region will find numerous wonderful alternatives for their Turkish yacht charter. 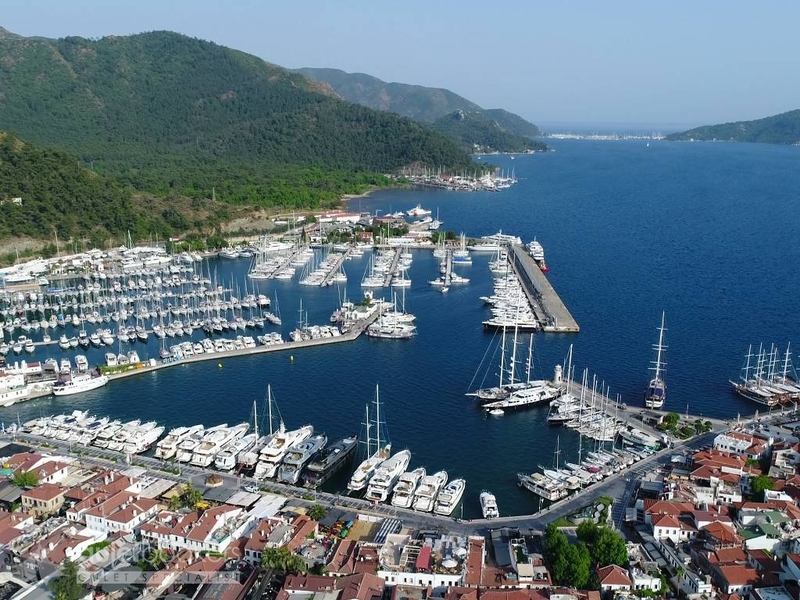 Marmaris, which has a modern marina, is the perfect starting point for your explorations of nearby natural wonders that will begin your journey of pleasure and comfort at sea.